Waking up in the middle of the night is an extremely common type of insomnia. It actually has its own name, middle insomnia. It is very frustrating for the person dealing with insomnia and maybe just as frustrating for those that live with someone with insomnia as well. For a lot of people, they go through all of the regular going to bed steps and even get themselves in bed by 10pm, yet time creeps to past midnight and they are still laying in bed wide awake. To add even more frustrating for the equation, insomnia isn’t usually caused by one thing which makes the condition even more challenging to figure out. Insomnia is a multifactorial issue and typically comes from deeply related to underlying health issue(s). 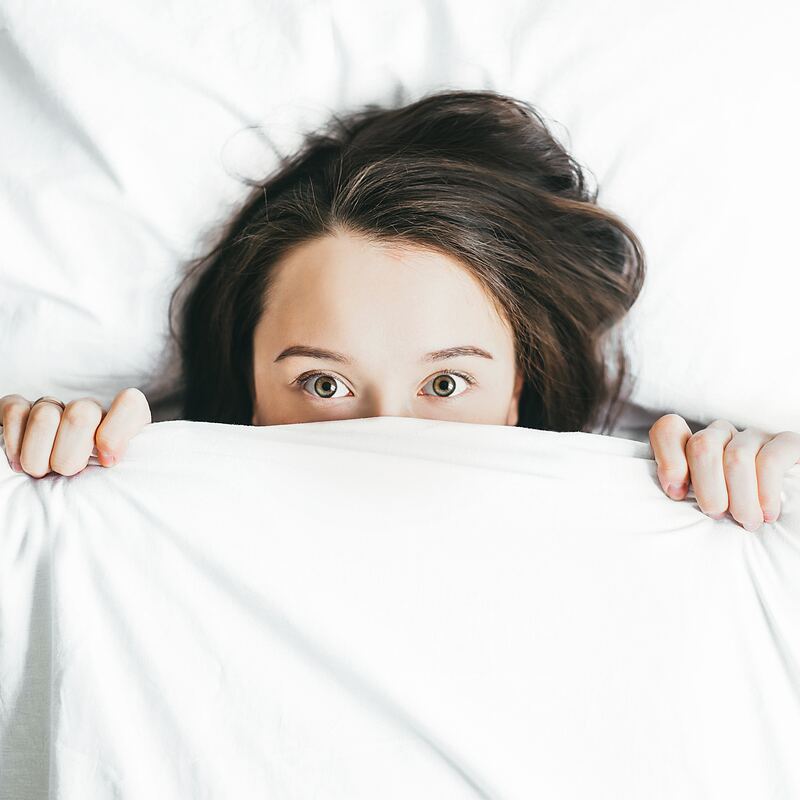 You will most likely need to speak with your doctor to really get to the bottom of the problem, but it is smart to take a look at these four common insomnia factors first too to see if changing these habits help you sleep better. If you wake up in the middle of the night in a wired state of panic, it may because your body is going through a blood sugar crash. Blood sugar crashes can be tributed to the standard American diet. If you think this is you then try considering eating more real-foods full of vegetables, healthy fats, protein, fruit, nuts, and seeds. There is a lot of talk about getting eight hours of sleep each night. This can work miracles for some people but for others, they just can’t sleep that long or they even feel more tired with that many hours of sleep. Something you may want to try actually is sleeping with the sun. About three hours after sunset is when you may find that you normally start feeling tired. It has been proven that falling asleep right at about the three hour after sunset rule, then we sleep our deepest and are less likely to wake up. If that window is missed, then your body can release cortisol, a stress hormone which then can make us feel overtired. The stress of your day can keep you up at night. This probably isn’t anything new to hear but the real problem is that so many people know about the stresses they have in their day but don’t do anything to help destress in the evenings. Maybe you have recognized this and during your restless nights you have started to write thoughts down that are racing in your head or have tried meditating. That is all fine and dandy but you are still awake. The idea here is to do those things before you go to bed to help you wind down. It is important to de-stress before it becomes a problem, not just try and destress while the problem is happening aka not sleeping at night. There are a good amount of people that like to have alcohol at night as a way to unwind. This may help us to destress mentally but physically it isn’t doing us a whole lot of good when it comes to sleeping soundly. Drinking alcohol before bed will prevent your body from getting into a deep sleep. You will sleep lighter and possibly wake up a lot or in this case not sleep at all. If you are someone that likes to have some alcohol at night, pay attention to how you sleep the nights you drink. If you think alcohol may be an issue then maybe try and stick to alcohol on the weekends or try replacing alcohol with some calming tea.